It’s been a while since I’ve done any updates so I thought it would be a good idea to post what I’ve been up to for the past 3 years. The link is quoted at the bottom in case the news item disappears in the future. 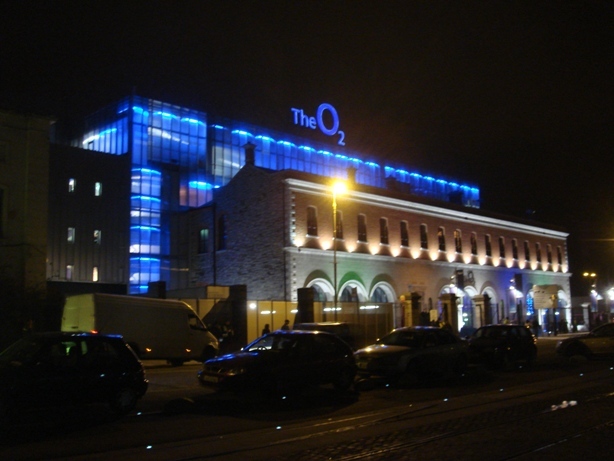 The O2 in dublin; Everything in the attached write up is accurate – my role was project manager of the project, which included the majority of design works, (supported by a small but skilled engineering team). It was enormously complicated, the most complicated lighting control job we’ve (Andromeda Telematics) done in our 10 year history. We did manage to finish it in 5 months, and it has been a very successful project. It was also my first project as a manager, so it was a great result. I’m currently doing a much bigger project (6 times bigger) – Dublin Airport Terminal 2, which is nearing completion after 2 years. I’ll post another one when it’s finished! KNX UK Association member Andromeda Telematics (ATL) was shortlisted in the KNX International Awards presented at the 2010 Light+Building Exhibition in Frankfurt for the company’s O2 project in Dublin. It is a showcase of progressive design and building services providiing an integrated control solution for the renovation, delivering innovative KNX/DALI colour change functionality as well as an emergency lighting test system. With an entertainment venue of this scale safety was also paramount, with lighting control signalling exits and providing emergency lighting. It was also important to create a perception of the venue as energy-conscious and this was achieved using sustainable KNX design. Cutting edge building services were integral to the relaunch of the O2 with lighting playing a major role and lighting control being utilised in a practical sense. Pre-show, interval and post-show lighting scenes help to create structure for shows and lighting in facilities such as the toilets, front of house and bars is key. The KNX/DALI solution includes building-wide lighting scene control for public areas, controllable via local touch screens and a central headend. There is also local scene set control and dimming in the private bar areas, as well as local control in all back-of-house areas for override of lighting condition. The external lighting controls feature lux sensors which activate lighting automatically at dusk. Vitally, an override function is available for periods where the building is unoccupied, such as holidays. The building’s facade features colour change sequencing and pattern selection through DALI. Similarly, the auditorium itself features colourised lightscapes, with colour change fittings and high power dimming combinations, with a portable touch screen controller. Through this complex solution, ATL has provided a customised global control system, offering the ability to alter lighting states throughout the building. The system delivers the capabilities to create individualised lighting scenes for each show both on the facade and in the auditorium, creating varying ambience and enhancing the customer experience as desired. The solution also has the ‘green’ credentials and the KNX technology used for the project itself provides energy-savings through reduced cabling, and the robust and reliant nature of the protocol reduces maintenance costs. The lighting control strategy undertaken has also proven to reduce energy consumption by up to 60%, with presence detection and lux sensors meaning that lighting is only active when required. The time-scale in which the project needed to be completed was also particularly challenging as there was only a five month period from delivery of first panel to site to the completion of commissioning. The project represented important steps both for ATL and the KNX community as a whole with ATL taking DALI colour change capabilities to a new level of functionality.